From the inside of the window frame in one of the derelict greenhouses at Henry Carnegie Phipps' 'Spring Hill' in Old Westbury. It says 'T.W. 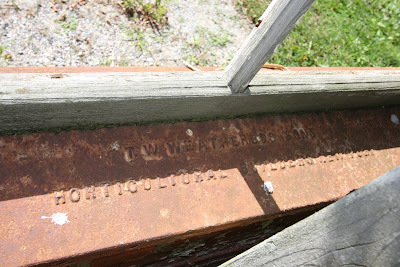 Weathereds & Sons, Horticultural Builders New York'.